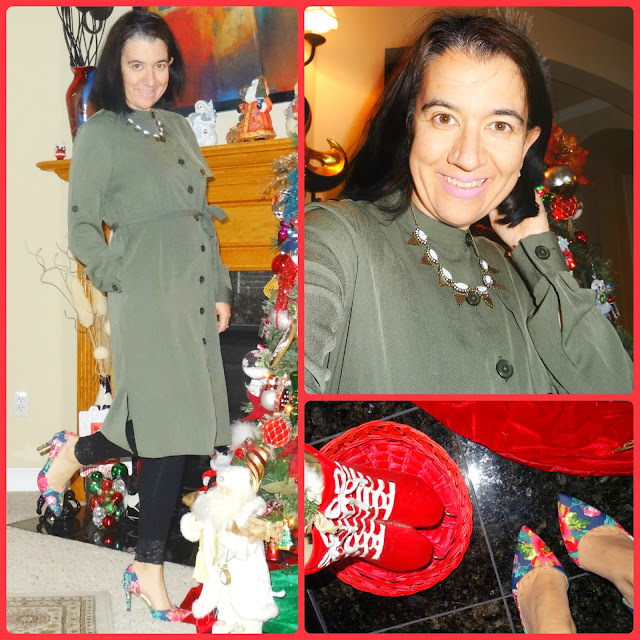 Olive Trench Dress and GYPO Winter 2016 Challenge. 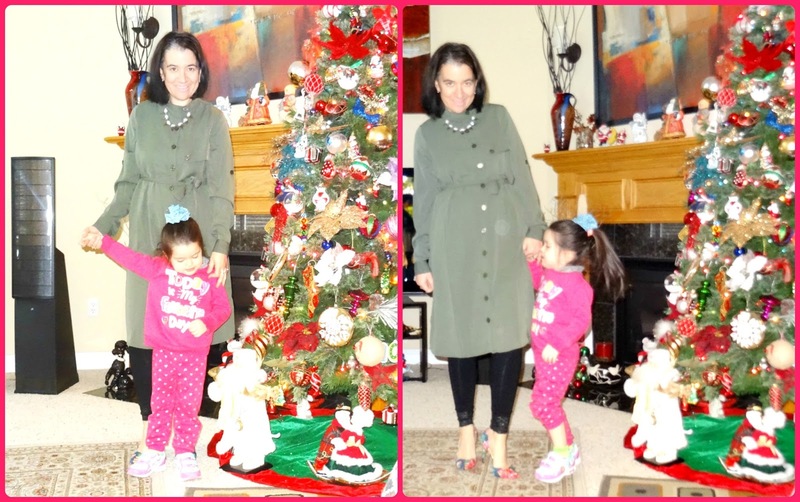 As you all know, I am currently participating in the Dressember 2016 challenge and today is December 11th already and I realized I have only posted 4 dress looks including today's. Well, as I write this, I am surrounded by 7 to 8 inches of snow and still falling. I stayed home all day wearing a fleece jacket, leggings and thick warm socks. But I have worn 7 dresses so far (6 of which have been photographed). I still think I will reach my goal of 25 Dresses since I haven't attended the majority of the Holiday parties, yet. I will be honest though, to get through all this month's outfits, some will be two-fer or multiple-outfit posts. Today I am wearing this very elegant, sharp and Modern Midi Shirtdress from the Who What Wear line that I love. The material is so nice and I love the demure, crew neckline which is buttoned all the way to the top. You can still find this dress online. It also came in navy and black but since I have a few black shirtdresses I decided to get olive - one of my favorite colors - though the navy one tempted me too. I wore it recently to work with these Lace-Trimmed Black Leggings and spiced it up with some Bright Color on the bottom, these Floral D'Orsay Pumps. I kept it pretty simple everywhere else with the exception of a White Stone Necklace and very simple Triple-Stud Earrings. What do you think? Do you own a similar midi Shirtdress and if so how do you wear it for Winter?! Meanwhile, I suggest you check out The Dressember Organization and you can even donate to help raise money for such a great cause for women. Thanks a lot, ladies! 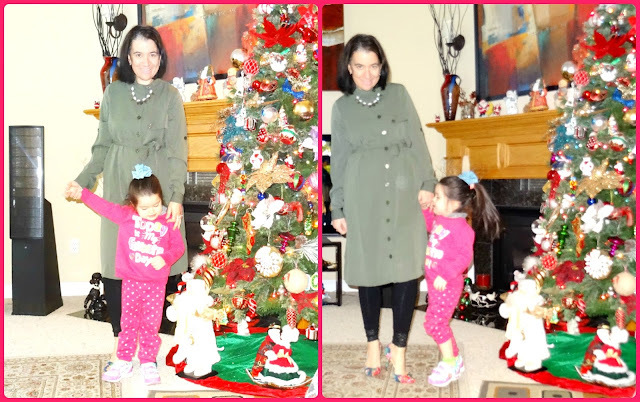 Vivian wanted to take photos with mamma by the tree and she was dresses in her favorite color - hot pink. Though she wears other colors these days, too lol. 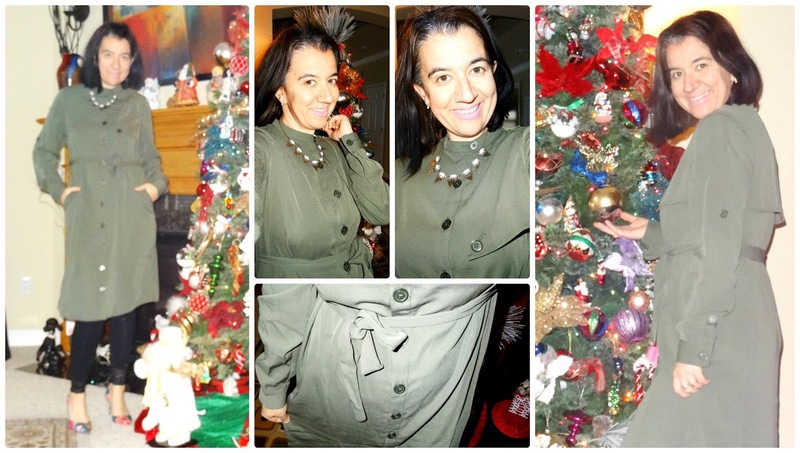 Olive Green, Long-Sleeve Midi, Utility Trench Dress w/ Long Sleeves: Who What Wear via Target (New) (similar current option by Who What Wear, Steal), (similar, Great Deal, love this), (similar sleeveless option, love this), (quite similar, Splurge). Thin Black Leggings w/ wide Lace Trim: White House Black Market (similar, Steal), (similar, Splurge). Crystal+Pearl Mini Triple Stone "Holly" Studs: Sophie Harper via Rocksbox (New) (dainty option, Steal), (similar in silver+crystal, Great Deal), (triangle-shaped, my Favorite). Pave Crystal "Odessa" Necklace w/ Gold Triangles + White Howlite Stones: Slate via Rocksbox (New) (similar, Steal, love this), (gorgeous option, Great Deal, my Favorite), (similar, on Sale). Light Pink 'Icy' Lipstick: ColorSensational Rebel Bloom by Maybelline in "Petal Pink" (identical, Steal), (similar, Great Deal), (similar, Small Splurge). Canvas, Blue+Hot Pink Floral D'Orsay Pumps: Merona via Target (similar, Steal, my Favorite), (similar, on Sale), (similar, Splurge, love these). It has always been so important to me to remix my closet. As a matter of fact on my next Outfit Post I will show you another way (more casual) how I remixed/wore these same black, lace-hemmed leggings, with another dress. 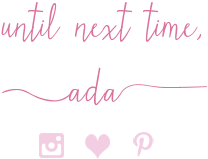 One of the bloggers I have followed since when I first started blogging about 5 years ago is the Lovely Alison from Get Your Pretty On who has been running a very successful blog for a few years now. She even wrote a book on style. Her blog is a mixture of style and beauty and every season she has a great remixing challenge she does where women around America have been joining and found new ways to remix their closets. You can find her current Winter 2016 Style Challenge here. Today is the last day to register. Alison makes it very easy and very affordable. For just $39 she will e-mail you a 26-piece Winter wardrobe for you to remix into 26 or more stylish outfits. 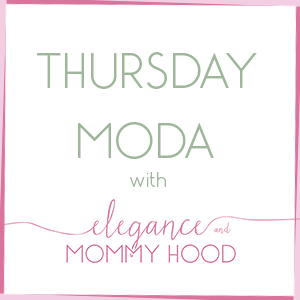 Some will be dressier since the holidays are coming up and some more casual every day looks. Alison will also e-mail you the prompts and looks she put together from last year's Winter challenge. You are welcome to join Alison and dozens of other women and register for this amazing Syle Challenge here. You won't regret it!